FitnessRX for Men > Nutrition > Tips > What Are The Best Protein Foods? Muscles need protein to grow— and plenty of it. If you want to maintain muscle, add lean body mass and support your workouts in the gym, you need to be eating at least 1 to 1.5 grams of protein per pound of bodyweight. The amino acids in protein serve as building blocks for muscle proteins and as chemical signalers for turning on protein synthesis after exercise. Getting your protein requirements every day— while still keeping it interesting— can be a challenge. Which means you’ll need some protein ideas other than grilled chicken and egg whites. Protein science has advanced to the point where are there are some really interesting products like Velositol® that you can add to protein that doubles the power of protein on muscle protein synthesis to boost your workouts and help you achieve the results in the gym that you are looking for. For additional food for thought, here are some alternative protein picks to keep things interesting and help you keep up your daily protein intake to keep those gains coming. Peanut butter may be at the top of your favorite foods list already, but it’s more likely that you are using it as a source of fat, not protein. In fact, peanut butter is a great source of protein— two tablespoons delivers 8 grams of protein, 6 grams of carbs and 16 grams of fat. It’s also packed with potassium, phosphorous, calcium, magnesium, niacin, folate and vitamin E. Peanut butter can be added to protein shakes, whipped into your oatmeal or yogurt, or used to top your rice cakes. If you’re tired of peanut butter or need a quick fix on the road, peanuts are a great alternative— throw them on salads, or have them on their own. Non-fat Greek yogurt is yogurt that has been strained to remove the whey, leaving only the casein protein— so this thick, rich and creamy yogurt is packed with slow-digesting protein. Just one small container provides 17 grams of protein per serving. Eat it plain, or bump up the protein content by adding a scoop of your favorite protein powder. Since Greek yogurt is slow digesting, it is perfect as a nighttime snack, or even a breakfast option to fight off hunger pangs before lunch. Tired of rice and oatmeal? Use quinoa instead. 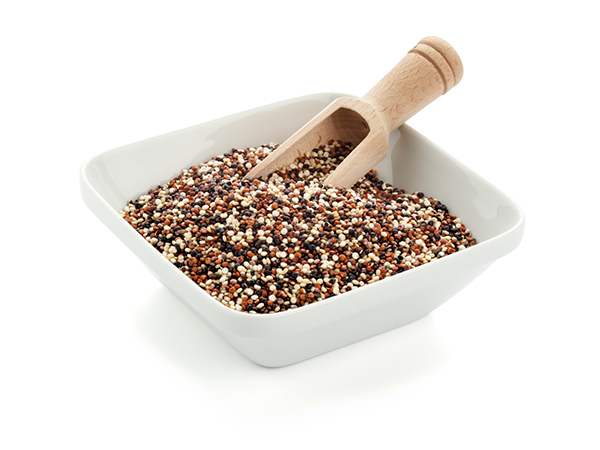 Quinoa has a relatively high protein content, and can be used as either a breakfast cereal or a dinner side dish. Each 1-cup serving provides 8 grams of protein, 40 grams of complex carbs and 5 grams of fiber. Cook red or white quinoa the same way you would cook rice. 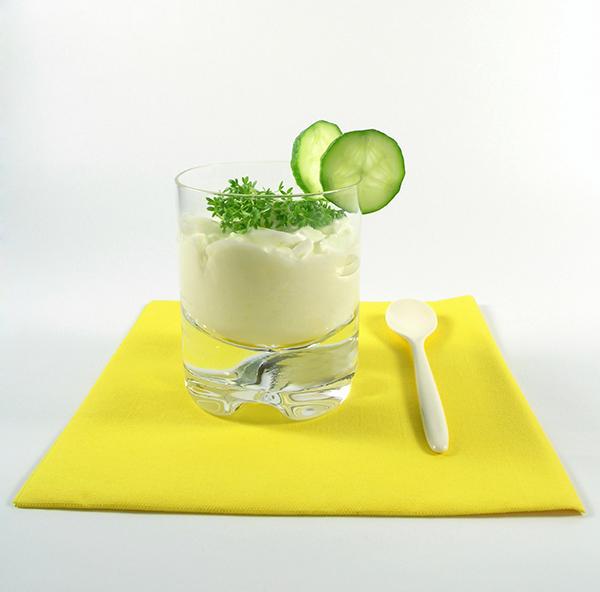 This salty curd protein provides 23 grams of protein in a 1-cup serving. Just like Greek yogurt, cottage cheese is also loaded with slow-digesting protein. Cottage cheese can be blended into recipes to bump up the protein content in tasty options like protein pancakes, eaten with a slice of pineapple, or used as the base of your protein shakes. You probably weren’t expecting any vegetables on this list, right? Kale is not only a higher-protein veggie, its also full of antioxidants and anti-estrogen compound DIM. 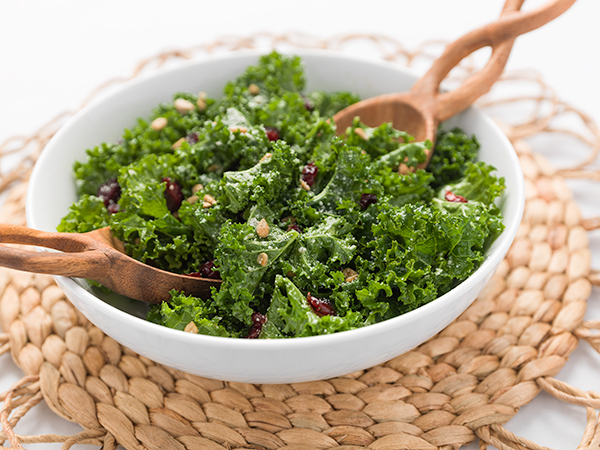 Just 1 cup of kale provides 4 grams of protein, and less than 70 calories. Kale delivers vitamins A, C and K. Use kale in green smoothies, eat it raw in salads or sautée it with other veggies. Perhaps the easiest and most convenient source of protein, powders can easily supplement 20 to 30 grams of protein to your diet quickly and easily. Consuming a protein supplement after weight training stimulates muscle protein synthesis more than weight training or a supplement alone. A protein supplement that contains Velositol® will amplify muscle protein synthesis beyond what protein can deliver. And you are not limited to just one type of dairy protein. Choose blended whey proteins, natural sources that have no added sugars, or a vegan source such as pea, brown rice or hemp protein.